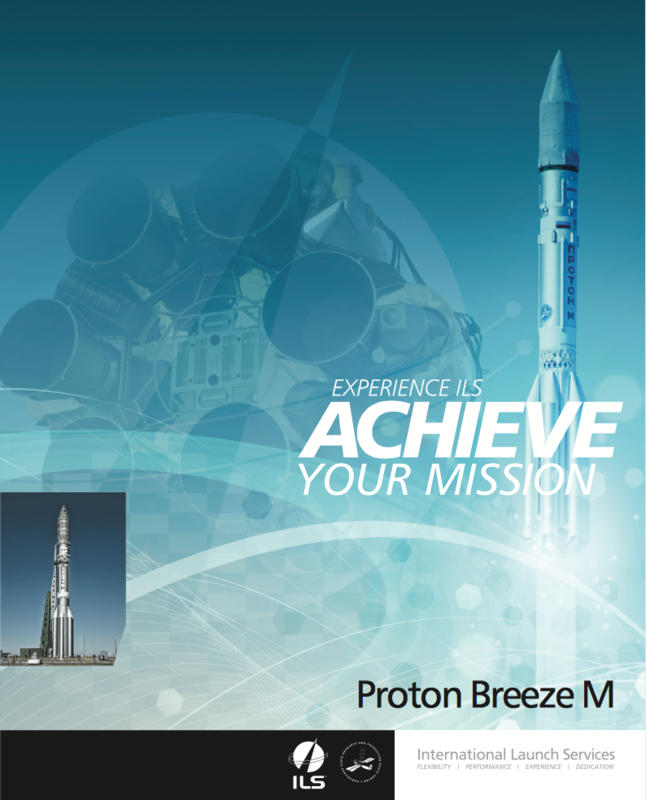 International Launch Services (ILS) enjoyed a successful launch of their Proton Breeze M rocket for the Ministry of Defense of the Russian Federation. On August 17, 2017 at 01:07 Moscow time from the Baikonur Cosmodrome, the Proton Breeze M launch vehicle successfully launched a spacecraft into the orbit in the interests of the Ministry of Defense of the Russian Federation. The launch was the100th heavy lift Proton M, which has been in use since 2001, and the 414th launch in the Proton rocket since its maiden flight in 1965. The Proton M launch vehicle and the Breeze M upper stage are designed and produced at Khrunichev Space Center of Moscow, one of the core industry enterprises under the State Corporation "ROSCOSMOS”. Proton M is a heavy lift launch vehicle used for both Russian Federal programs and international commercial projects, under the auspices of International Launch Services (ILS). Today, the Proton M rocket with the Breeze M booster launches payloads of more than 6 Metric Tons to geostationary orbit and 3.3 Metric Tons directly to geostationary orbit. Proton M is the development of the original carrier rocket "Proton-K" and over time has improved its energy-mass, operational and environmental characteristics. The first launch of the Proton Breeze M complex took place on April 7, 2001.